Here at K1 Dental in Melbourne, we practise excellence in dentistry amidst comfortable and relaxing surroundings. 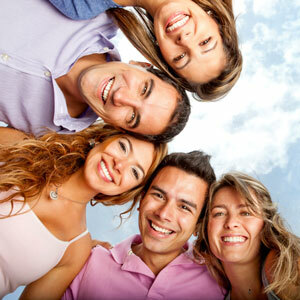 All of our professionally trained dentists are caring and driven by what is best for you. This personal service is at the heart of our dental practice, where we believe that a priceless smile can be affordable. If you are due for a checkup then take a look at our comprehensive dental check-up procedure with appointments to suit your lifestyle and a great pricing plan. Call (03) 9827 2922 today to find out more! We also offer a range of cosmetic dentist treatments at very affordable rates; just ask us for more details. It can be time consuming to book the whole family in for dental appointments, which is why we have made it a priority to open our doors seven days a week with evening and weekend appointments available. Our pricing structure is discussed with you before any treatment starts so you know exactly how much it will cost. We also have various dental finance options to break up the cost of treatment and accept health fund rebates. We understand how important it is for your family to be treated by the same dentist who will get to know them and their history. This kind of personal patient relationship is important to us so that you feel comfortable and relaxed when you come to see us, especially with children. All of our dentists have a gentle, patient approach that helps ease the apprehension of people who suffer dental phobias. For children as well as adults, it’s important to make people feel comfortable and relaxed, so your initial consultation is just that: an assessment of your needs and a chance for us to get to know you, and for you to get to know our team and us too. 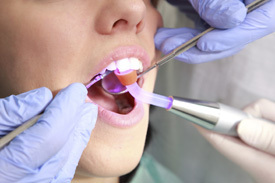 The greatest fear of the dentist is the pain factor and so we use many techniques to help put all our patients at ease. We use techniques such as a calm environment and topical anaesthetic cream that will numb an area before using local anaesthetic needles. If required, we can also offer sleep dentistry. Your interests and health are our number-one priority. We will always give you the information you need to make an informed choice about your own dental treatment. At K1 Dental, you are our number-one priority. We set out to achieve the impossible — to make visiting the dentist enjoyable! Book an appointment for your first checkup with one of our experienced dentists and enjoy a new type of dentistry that will exceed your expectations. Contact us on (03) 9827 2922. We look forward to chatting with you!